East Coast Kayaking has been delivering innovative Outdoor Education programs to Victorian Schools since 1997. Our kayaking based programs are designed in partnership with school staff to ensure a positive experience for your students. Our convenient location on Sandringham's waterfront offers protected paddling and a range of activities that compliment your student’s sea kayaking experience. We also operate from a variety of locations around Victoria's magnificent coastline for part, full and multi-day programs. East Coast Kayaking aligns all activities in accordance with Australian Canoeing, Department of Education Victoria, Transport Safety Victoria guidelines and Australian Activity Standards. We are a licensed tour operator with Parks Victoria. Delivering innovative Outdoor Education programs to Victorian Schools. Our Training Centre at 37 Jetty Road is conveniently located on right on the beach at Sandringham, adjacent to the sheltered waters of Sandringham Harbour on Port Phillip Bay. We can be contacted on 03 9597 0549 or info@eastcoastkayaking.com. 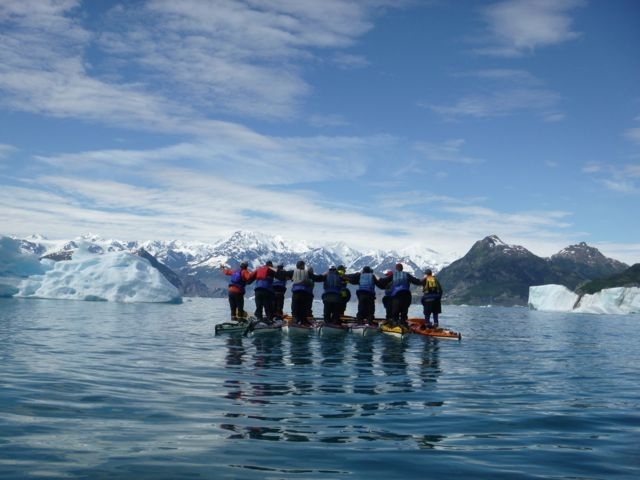 Enjoy a fun introduction to kayaking with our user-friendly sit-on-top kayaks. We can blend a range of Adventure Based Learning initiatives with kayaking ensuring your students are challenged and having a good time! These sessions are designed to fit into class lesson time and can be tailored to provide 1-2 or more hours of activity and can be a one-off experience or a series of sessions building on skills. An ideal addition to your existing Physical Education or Outdoor Education program, providing a focus on Marine Safety. Half and full-day journeys provide more time on the water, to explore, have fun and maybe integrate other project outcomes. Journey down the Yarra, exploring the history and land use of our major urban waterway, or paddle on Port Phillip Bay. Contact us on 03 9597 0549 or info@eastcoastkayaking.com to discuss the possibilities. Our multi-day journeys provide the opportunity for students to develop team and leadership skills in a natural environment. We can also assist with integrating outcomes with other curriculum areas. 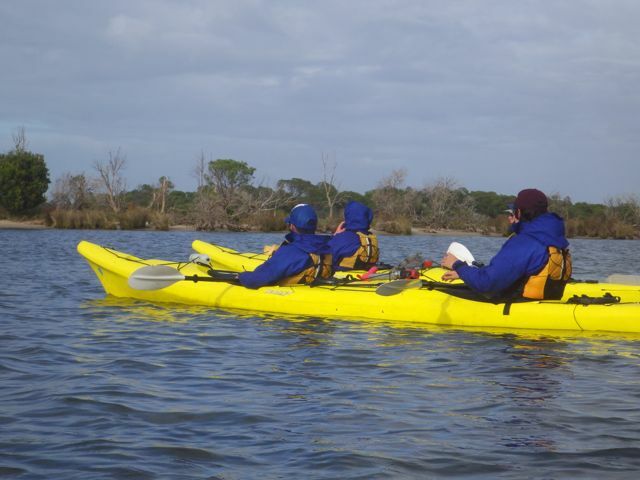 Westernport, Gippsland Lakes and Nooramunga Coastal Park provide wonderful opportunities to explore by kayak for 2-5 day excursions. We can advise on camping gear and catering. We can also provide programs further afield and are experienced in running 7-10 day expeditions in the Whitsundays and in Alaska. These are much more committing journeys so we provide a training programme and extensive pre-expedition support. Contact us on 03 9597 0549 or info@eastcoastkayaking.com. As part of our commitment to enhancing school programs all partner school staff are invited to attend a complimentary Sea Starter Course (value to $300 - two day course). Click here for further information about the Duke Edinburgh awards. On all overnight trips we offer a complimentary briefing for your students at school. Our staff can brief students on gear requirements, tides, weather and campcraft prior to their excursion. School briefings on various aspects of kayaking activities are available on our YouTube Channel.